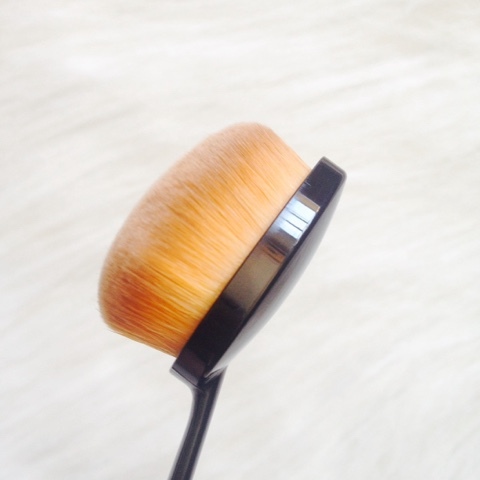 Purple Tags Flawless Finish Brush* | Vanity and Everything in Between. 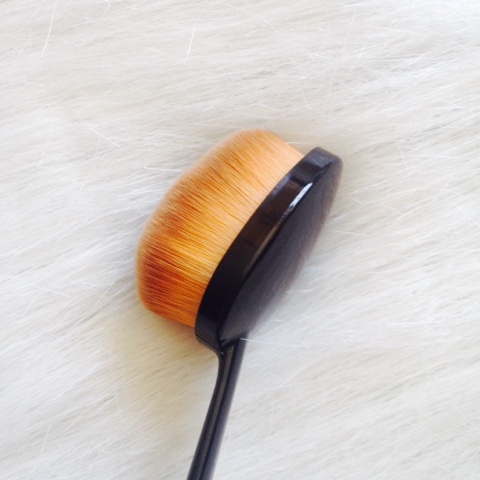 Remember back in 2013 when MAC released oval brushes? It was totally different from the usual makeup brushes that we have seen. 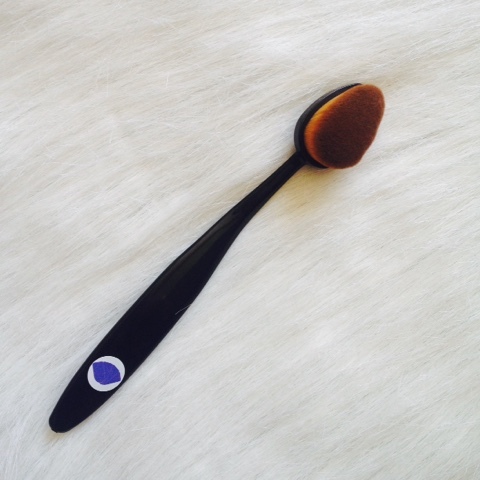 So, it's not a surprise that other brands followed suit when oval brushes became a hit in the makeup industry. I've been waiting for other brands to release their take on the oval brushes because I wasn't sure I wanted to spend USD42 on another makeup brush. As always, Purple Tags was kind enough to send me their Flawless Finish Brush for me to try and share with my readers [thoughts about this awesome brush]! As I've said, it's not the usual makeup brush. First off, you hold it like how you hold your toothbrush. The stroke will depend on you but I do sidestrokes for my forehead and downward strokes for my cheeks. What I love about this brush is that it is very dense even when the bristles are soft. The brush itself is about an inch long. 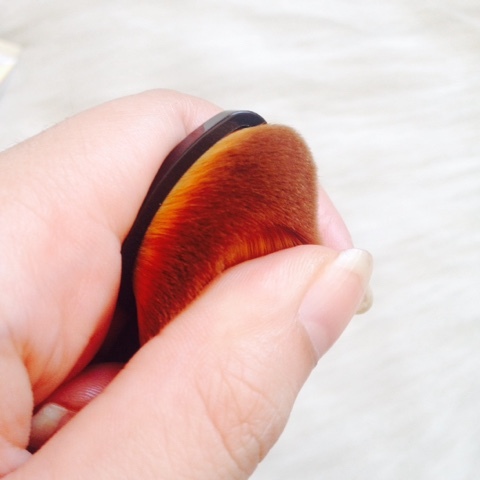 It's not that big of a brush but it's not that small that it would take you longer to apply your foundation. 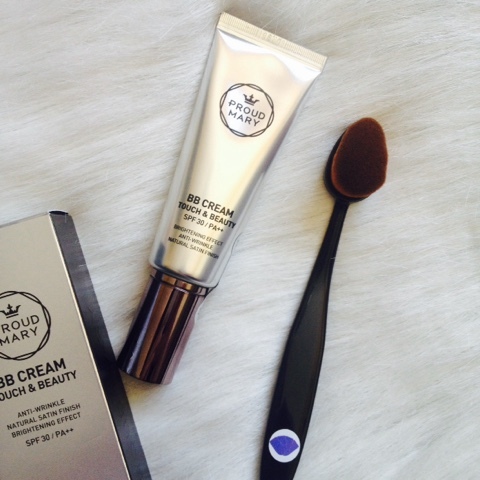 Once I got the hang of this, applying bb cream and foundation was a breeze! If I need more coverage on certain parts of my face, ie. covering dark spots, I just pat this on that certain spot and voila! If you want light coverage, use a light hand. The bristles are very soft, I tell you. 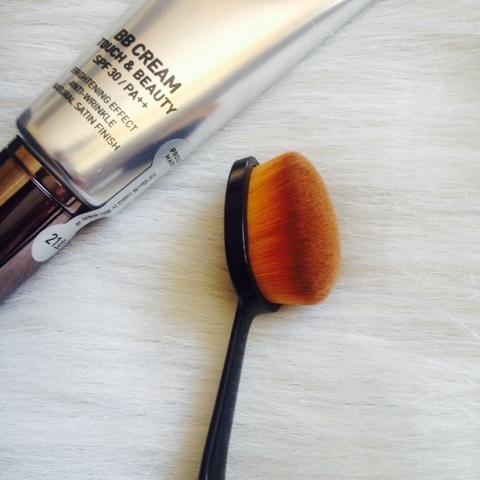 The Flawless Finish Brush is as long as a pen. I even consider this as a short handle brush so it's perfect for travelling! The only thing I don't like about this is that it's quite difficult to clem because it has so many bristles. So, you gotta be patient when cleaning this. The Flawless Finish Brush retails for PhP799 but is currently on sale for PhP671.16 at purpletags.ph.